Our best to you with the dawning of the new year — and our thanks for making this Blog one of your stopping points. If you have a moment in the coming days, think about leaving a comment that answers this question: What will you remember most about 2008? One of the things we’ll remember most is the AdSurfDaily, LaFuente Dinero and Golden Panda Ad Builder case. As mentioned in a previous post, we never intended to do more than a few posts on the subject. The ASD case kept itself in the news, though, mostly because of the behavior of some of its more ardent supporters. Andy Bowdoin’s own declaration that Satan was at work — as well as comparing what the company was confronting to the 9/11 terrorist attacks — set the standard for some of the oddities that followed. Inspector General for the Justice Department; petition drives to the U.S. Senate; a call for a million-person march on Washington; prayer campaigns; name-calling; rants; a gleeful forum party after the Sept. 30-Oct. 1 evidentiary hearing concluded; claims that the prosecutors, Secret Service agents and judge were brainless. None of these messages was consistent with a comprehensible PR strategy or the behavior one normally would expect from a company that called itself a professional advertising firm. The presence of numerous other autosurfs also didn’t help. ASD’s claim of offering an exciting, new business model was just plain silly. Scam.com and other sites have been covering autosurfs for years. 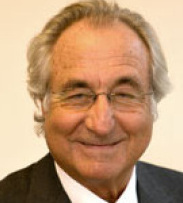 Another thing that didn’t help ASD were the Ponzi allegations against financier Bernard Madoff. The accusations alone brought the word “Ponzi” into widespread public use. The Wall Street Journal and Bloomberg News, in particular, have been providing exceptional coverage of the Madoff case. Practically everyone knows what a Ponzi is now, something that could affect juror pools in the ASD case. Madoff has become a national disgrace, a punch-line for late-night comics and a source of global disgust and heartache. “Ponzi” has become a radioactive word. In short, “Ponzi” = “pain” — the kind of pain that destroys people, dreams, fortunes and the good works of charities, endowments and universities. Our warm wishes to you. Without a shadow of a doubt, the latest inept and error ridden rantings of “Professor” Moriarty will remain forever in my memory both as representative of 2008 and exactly how Ad Surf Daily became the fiasco it did. I won’t confess to actually ROTFL, but I must admit to an audible chuckle passing my lips when reading his latest diatribes. The good “professor” spouts paragraphs of pure supposition, gossip, and just plain B/S,then bemoans the fact he either receives no reply or a cursory dismissal by the recipients of his emails. “Professorships” sure ain’t what they used to be. I learned that in 2008 the estate of Charles Ponzi, for which fraudulent operations received the moniker “Ponzi” to describe their fraud, took offense at Bernard Madoff’s program being called a Ponzi. Seems the estate felt due to the size of Mr. Madoff’s fraud, he had damaged the reputation of Charles Ponzi. So now I know there is a dollar limit on what applies to a Ponzi, and what doesn’t. I also have to agree with the good professor coming in a close second. His latest is his trying to claim he has legal standing with his letters to the OIG when he wasn’t even a member of ASD. One would think Andy’s crack legal team would have also filed these motions with the Judge if there was any merit to the good professor’s claims. Of course a close third is the defense that Social Security is a Ponzi compared to ASD. Of course no-one has identified all those millionaires that have ginned the Social Security system to make this claim valid, but then facts aren’t required with the ASD supporters. My conclusion is that I didn’t know as much as I thought I did regarding scams, and promoter’s of scams. Without ASD and the Madoff case, I would have never learned all of the above, for which I am grateful. Just in case if anyone is wondering, yes this is sarcasm. Heck, the Ponzi estate should be thrilled that Charles keeps sinking deeper into infamy — on the theory that even bad press is good press. There are a lot of holes in the “bad-press-equals-good-press” theory, though. I can’t imagine that President Bush subscribes to that theory, but lots of folks in the entertainment world do. Also, I’m thinking the “Professor” was an ASD member. Regardless, his approach kept ASD in the news long after the seizure, adding more damage to the brand and helping drive public perception that something was seriously wrong at the company. The headline-grabbing cures he recommended were worse than the disease. In the Ponzi Estate Story, I strongly suspect that’s an urban legend started on the “Huffington Post”, which I consider as reliable as most Autosurf promoters. First, to the best of my research, Ponzi had no children or siblings, and I know for a fact he died penniless in a charity hospital in Brazil in 1949, after he was deported from the US. A little digging about the so called lawsuit reveals the lawyer\spokesman for the “Ponzi Estate” to be one “Rob d’Fraud” who I cannot find listed in any Bar Associations and well, look at the name, it’s a pun. Also there are some legal problems with the story. The supposed demand for relief is for the press to quit referring to Madoff’s scheme as a Ponzi Scheme, something that you can’t get by suing the Federal Government, and again, as Ponzi was not a US Citizen, and died outside the USA etc… I really doubt any estate he may have had would even have standing to sue in Federal Court. It’s a good story, but I very much doubt it’s true. And as much as I want to, I cannot even comment on The Mad Professor and the Arbys Indians with a straight face. Professor Dingdong was indeed a member of ASD, it’s his legal advisor/medicine man who wasn’t a member, but knew the secret code required to get all the money back by “non judicial” filings, which aside from being just crazy is kind of an oxymoron. Once you file something with a court, it’s hardly ‘non judicial’ anymore, isn’t it? Actually I had thought the good professor posted on one of the pro-ASD forums he was not a member, but was just providing his “expertise” to help the members of ASD get their money back. Of course he seems to have forgotten that Andy has said, and the government has said it wasn’t the members money, but Andy’s. The scary part is there are people who really believe what I posted as being fact. I was also being facetious as well as being sarcastic in my entire post. Sorry it did not come across as such. While there is no doubt the ASD debacle will stand out in my memory as one of the most notable things that happened, second only to the birth of my 4th grandchild for 2008,…I cant help but feel that something positive will emerge from it also. Progress is born out of hardship,….as unpleasant as the experience can be. WE, the people, are responsible for the world in which we live, for the choices that we make, including those which harm us. Pain is a great motivator,..and usually the catalyst behind the change that is needed to prevent further harm to self, and others. The responsibility is ours to make things better, and we must be vigilant,..we cannot outsource responsibility.